In what seems like an attempt to disrupt the gaming industry, Google recently announced the launch of new video game platform named Stadia at the recent Game Developers Conference (GDC). The platform offers players instant access to their favourite games across platforms such as TV, laptop, desktop, tablet and mobile phone. According to Google’s blog post, its globally connected network of data centres will enable Stadia to free players from the limitations of traditional consoles and PCs. Meanwhile, developers will also gain access to nearly “unlimited resources” to create the games they have always dreamt of. Google’s data centres will provide support to ensure that the games are available in resolutions up to 4K and 60 frames per second with HDR and surround sound. The company aims to launch Stadia later this year in select countries, including the US, Canada and the UK. Google also unveiled a logo, a controller and a single game titled Assassin’s Creed: Odyssey by Ubisoft, to be launched alongside Stadia. 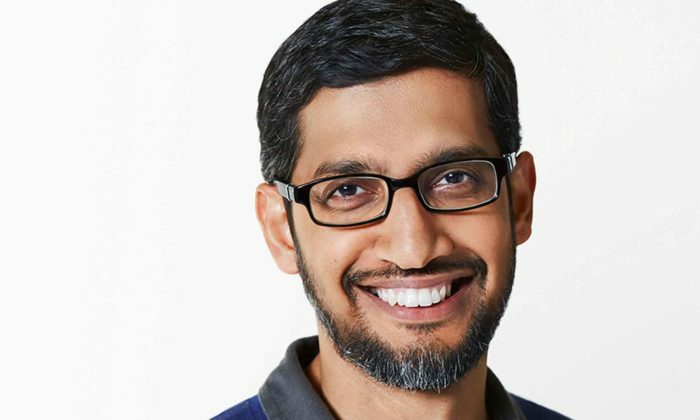 Google CEO Sundar Pichai (pictured) said during the keynote speech at GDC that the vision for Stadia is to “make games accessible to everyone” worldwide. He added that “technology should adapt to people, not the other way around” and that Google is “dead serious” about making technology accessible to everyone. A day after the announcement of Stadia, shares for Sony Corporation and Nintendo slid 4.5% and 4.6% respectively, according to multiple media outlets including Bloomberg. Several industry players Marketing spoke to applauded the announcement by the search giant, with some stating that it came as no surprise as Google previously had its eyes on the gaming industry with the roll out of YouTube Gaming in 2015 which was later shut in 2018. Jefrey Gomez, Econsultancy’s managing partner, Asia Pacific, said this is a “brilliant move” by Google to drive more eyeballs and users to YouTube. According to him, gaming and gaming-related content on YouTube have witnessed a drop due to the incursion of other platforms such as Twitch and Discord. “While content from Twitch and Discord still find their way to YouTube, Google Stadia may be an attempt to keep gamers watching its YouTube gaming content,” Gomez said. This is evident through how Google relied on a YouTuber to describe during GDC, how Stadia would build more intimate connections between YouTube creators and their audiences. While Google’s prowess in cloud technology and data capabilities might give it an early edge in terms of novelty, Gomez said that without pricing details and a large collection of AAA or exclusive titles, current streaming platforms such as PlayStation Network and Xbox Live may retain their early-mover advantages. Currently, the launch of Stadia is only accompanied by one video game. To succeed in this space, Gomez said Stadia should be used for any content. Also, in order for Stadia to shine, the availability of high-end broadband connections is crucial. “Two aspects matter greatly to gamers – the availability of AAA titles and the quality of streaming,” he said. While Stadia is planned to be launched for every device, it is unlikely that the quality of streaming will be comparable across devices due to the large number of devices in the market. With this platform, Google will have an edge in the market as consumers are already using the platform, so it just needs to add on content. “Whereas for other video game players in the market, they are still required to draw consumers to their platform and have them download the game,” Sagau said. He added that Google is “definitely” going to give Twitch a run for its money, which has always been the default platform for individuals to watch or live stream games. Sagau said that in the future, Google might release tools for e-sports players or key opinion leaders to make it easier for them to live stream on YouTube, removing the need for additional machinery or equipment to do the job. However, like Gomez, Sagau said one challenge that Google might face when launching Stadia in developing markets such as Southeast Asia is connectivity. While the broadband connection might be fast in Kuala Lumpur, for example, it might not be the case in areas outside of the city centre. As such, Sagau said latency might affect the gaming experience. More challenges for the gaming industry? In my opinion, Google does not address and fill the gap that gamers want, but instead, creates more challenges for the industry. One important segment of the video gaming market that Stadia does not appeal to is the group of gamers that love to own generations of consoles, hardcopies and special editions of games, figurines, posters and controller decals. “This is why game developers and publishers invest a lot in adding value for players through collectibles although they don’t come cheap. It is every gamer’s dream to have an entire room dedicated to video games,” he explained. Another point to consider, Chan said, is why would competitive gamers travel worldwide to compete in a physical location, instead of playing the game or tournament over the internet? One major reason is latency. According to him, playing games via streaming will deter many games from using the platform. In order for a game to be fun, the responsiveness of it needs to be almost instant. “A player needs to feel that they are fully in control of the character and playing the game through Stadia can potentially lead to server issues, which are almost always a problem in online games worldwide,” Chan said. Unless Google is able to solve such challenges, Chan does not foresee professional players or streamers using Stadia. Also, he does not expect Stadia to affect Twitch and Facebook as these platforms are mainly streaming platforms and are heavily focused on its content creators. However, Chan said that Stadia will impact companies such as Sony, Nintendo and Microsoft because it seems that Stadia is intended to replace the game consoles instead of the streaming and content platform. Also, there is a possibility that Stadia might cater to the indie-gaming market instead of AAA titles. Chan predicts that the platform will most likely be used as a marketplace for gamers to look for potential, less popular games. Meanwhile, Check Ho, chief gaming officer, Bountie Technologies, said that Google is not the first company to have explored cloud gaming. For example, Nvidia’s cloud gaming efforts allow gamers to be able to access better hardware specifications than they would be able to experience on their device, vastly improving their gaming experience. “It makes it easier for everyone to play what they want, where they want and on any device. Google has now set a benchmark not only in terms of technological advancement, but they have also created their own solution to engage gamers,” Ho said. He added that if companies in the same field want to compete with Google, they need to also visualise non-traditional ways to tackle and improve the normal way consumers live and game. Wall’s Ice Cream reaches out to the youths via a digital campaign that involves dancing fingers for its flagship brand Cornetto. ..
AIA Hong Kong has dropped its 'Power of We' slogan and revealed a new brand position as the 'Real Life Company'. ..